Under the guidance of the newly established PHMC Community Preservation Program, the NHC completed a comprehensive historic asset survey of Nockamixon Township. This survey had displaced all other projects in importance, as it is critical to our core mission of inventorying, curating and preserving the historic assets of our township. This survey yields a rich database, as comprehensive as we’re able to make it, of Nockamixon’s historic assets, including buildings, properties, viewscapes and more. The result is a first-ever complete inventory of every historical element of our township. With this inventory as a reference, the NHC is able to make informed decisions about our future efforts, resulting in projects that reflect the real priorities of our community. With a geographic territory as old and large as Nockamixon Township, it’s easy to understand why this project has been a multi-year effort. It’s very important to be thorough and accurate in our data collection. Thank you to Heritage Conservancy Intern, Heather Sherstad-Schaller, for helping with this project and residents, who shared stories and allowed us to photograph their homes. These efforts have taken a secondary position to our comprehensive Historic Asset Inventory, which is key to our mission, but are being worked on as we have time and volunteer energy. 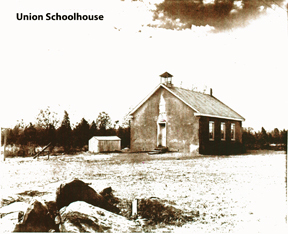 We documented the history of the dozen original, one-room schoolhouses in Nockamixon and Bridgeton Townships (Bridgeton was originally part of Nockamixon before separating in the late 1800s). We continue to work on building the narrative, and welcome any help you might be able to provide in the form of oral histories, written memoirs, diaries, documents such as diplomas and certificates, and photographs. If you have anything to offer, please contact us. Following the untimely passing of our former chairman, family members generously donated some of John’s collection of historical documents, maps and other research materials. We continue to sort and catalog this collection, along with using it to guide our Historic Asset Inventory. Family members generously donated an extensive collection of photographs and newspaper clippings in multiple albums from the late Mary Shively. 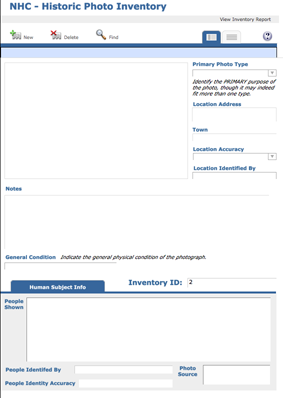 We have inventoried, cataloged and digitized the images and clippings and are now available to the public for research. Mary was very active in environmental issues (Echo/DeRewal disaster) and local historian. Helen’s family members generously donated an assortment of Palisades High School memorabilia. Helen was secretary to the Palisades High School Principal during the 1950’s. Ray worked for many years as a miller at local mills. Some may remember his talks at the mills in Durham, Kintnersville and Tinicum. Our collection includes his publications: “My Golden Memories and History of Kintnersville” and “Oh, To Be A Miller Again”. We’re always adding to the content and functionality of this website, with the goal of making it a useful resource for research into Nockamixon Township’s past. Check back often to see the progress we’re making! We’re also inventorying, cataloging and digitizing images from several other donated private photo collections, so they may be made available to the public for research. We’re constantly on the lookout for folks who wish to donate historic photographs, documents, memoirs and small personal items to our artifact collection. As the ONLY historic preservation organization existing through legal ordinance to represent Nockamixon Township, we are working to create a professional process to responsibly steward donated items in an archival environment. It’s our hope to eventually have a physical space that allows us to maintain an archivally stable environment for physically sensitive artifacts that also serves as a publicly accessible exhibit space and research source. Since we don’t yet have that type of space, the type and size of artifacts we can accept for proper stewardship are limited. We will only accept those items for which we can provide such responsible stewardship, which at this time include the types of items listed above. If you’d like to donate something, please contact us through the interactive form below. 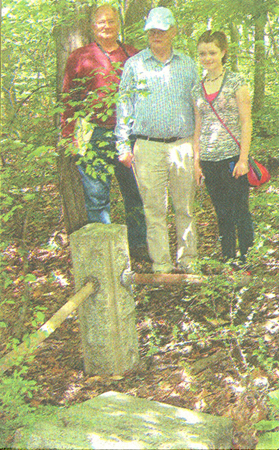 Based on the discovery of a deteriorating burial site nearly lost to the woods, we embarked on an effort to document the gravesite of Phillipus Henricus Rapp, a former Lutheran pastor in our township. Check out the resulting article from the Bucks County Herald.